At WORD Bookstore in Jersey City, Davis read before a modest crowd, bathed in the amber glow of overhead lights. The audience made up for its size by proffering a series of passionate, though deferential questions. This was a group of engaged readers with whom the book clearly resonated. 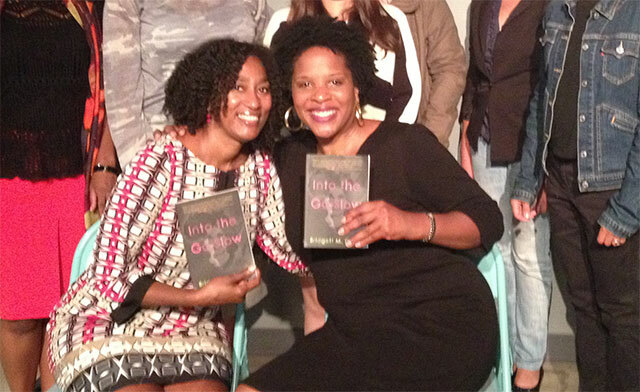 Tayari Jones, the acclaimed author of Leaving Atlanta and Silver Sparrow (not to mention a resident of Jersey City), served as interlocutor during the Q&A session afterward. Jones encouraged audience participation by offering her own impressions as a reader of the novel’s early drafts, coaxing a few noteworthy admissions from Davis in the process. To wrap up a night of introspection and honesty, Davis and Jones invited the audience up to the podium for a group photo. Now this is what we mean by literary community.